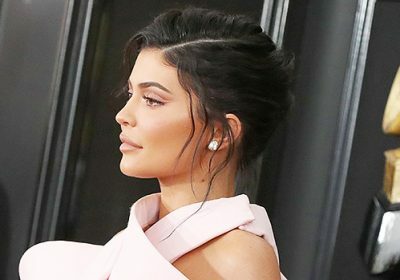 Kylie Jenner looked gorgeous supporting boyfriend Travis Scott at the 2019 Grammys. Find out how to copy her sweet updo in just a couple easy steps below! This look is perfect for Valentine’s Day, prom, or when you just feel like rocking a pretty updo! It’s amazing!